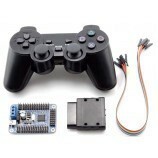 This Wireless PS2 Controller features all of the inputs found the standard Dual-shock 2 controller, i.e. ten analog (pressure-sensitive) buttons three digital button (L3, R3 and the analog mode button) and two analog sticks. As its buttons are pressure-sensitive, the controller is compatible with games which require a Dual-shock 2. The controller also features two vibration motors for haptic feedback, which are compatible with Dual-shock/Dual-shock 2 enabled games. As a power saving measure, the vibration may be turned on or off by the user by way of a button on the controller's face. 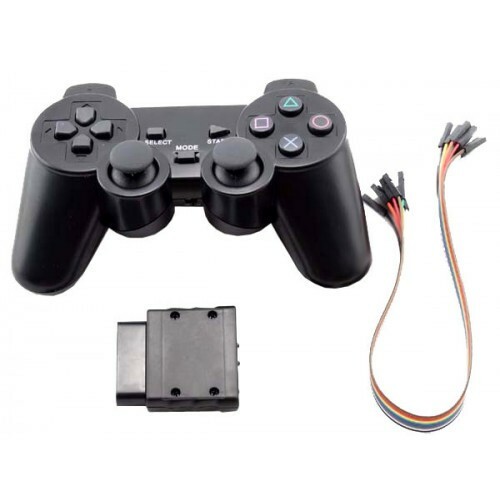 Wireless controller for PS2 is designed for the gamer who demands only the best in wireless gaming technology. High-performance - 2.4GHz wireless analog controller. Full analog/digital action buttons and twin analog control sticks of PS2 controllers. 2 built-in motors make the game more realistic. The receiver with activity light indicator is compatible with controller pad. Operate by 2 x AAA (LR03) batteries(Battery not included) - auto battery saving function. Open wireless receiver, solder with 7 DuPont line according to the order of the picture showed. Connect 7 DuPont line with the main board according to the order shown. Set up all buttons’ instructions of PS2 controller via computer software. Also Searched as: wireless ps2 controller review, use wireless ps2 controller, search results for wireless ps2 controller, gamestop wireless ps2 controller problems, ps2 self wireless controller, sony ps2 wireless controller, how to connect ps2 wireless controller, ps2 nerf controller.